Do I have to be a member of a service organisation to become a member of Geelong RSL? 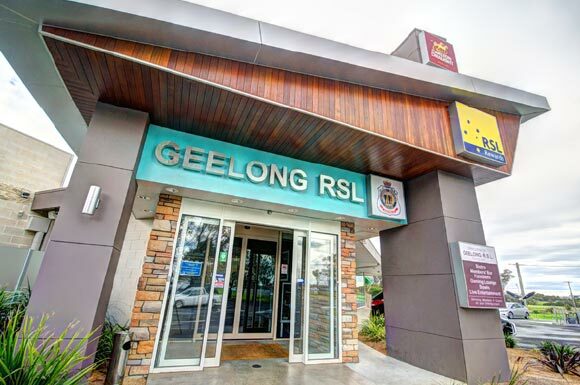 While our charter is the support of former and current members of the defence forces and their families, the Geelong RSL is a club for everybody, and members of the community are welcome to join as RSL social members which provides access to all member benefits. Make sure you get in touch to ask about our Geelong RSL membership packages. Does Geelong RSL provide information for veterans and defence force personnel? Yes, we support and welcome all Australian Defence Force members, war widows and veterans’ children and police force members who have served in United Nations operations. Does Geelong RSL have a dress code? Are children welcome at the Geelong RSL club? Yes. We have a well-equipped children’s playground. Children are welcome to visit the club with a parent/guardian but must not enter the gaming room. Children must remain with their parent/guardian at all times whilst in the Geelong RSL club. Why do I have to sign in at Geelong RSL Club? Victorian Liquor Licensing regulations stipulate that anyone entering the club who is not a member must sign in upon entry unless under 18 years of age. You can request a Social Club Membership for $10 and that allows you unlimited entry to our club without having to sign in. Does Geelong RSL sell gift vouchers? Yes. You don’t have to be a member to purchase a gift voucher for use at the Geelong RSL Club. We have denominations of $10, $20 and $50. Our vouchers are valid for use up to 12 months from the date of purchase. Do you provide formal bistro dining in Geelong or is it just informal social dining? The bistro dining at Geelong RSL is relaxed semi-formal and the menu is extensive. Talk to us about your dining expectations and we’ll answer all your questions. What is the Geelong RSL parma and pot I keep hearing about? Our parma and pot or pot and parma is a Geelong institution. Each Wednesday night we offer a delicious parmigiana meal and pot of beer for just $14. It’s the perfect value meal to enjoy with friends. Does Geelong RSL’s bistro dining menu include vegetarian meals? Yes, our bistro dining includes a wide variety of meals for vegetarians, ranging from lentil burgers and vegetable pizzas through to vegetarian risottos. We also have gluten-free meals available. Does the RSL provide function venue hire in Geelong? Another yes. The RSL’s function centre in Geelong is a popular destination. We have a function room that can seat up to 150 and two boardrooms, one seating 25 and the other seating up to eight. Is it correct that the RSL has a bowling club in Geelong? Yes, we have had a bowling club since 1951. The Geelong RSL bowls club is the venue for Saturday and Tuesday pennant bowls, Bowls Victoria events each Monday, Thursday and Friday as well as coaching, practice and social bowls. We also have an RSL golf club, founded in 1994. If you haven’t found the answer to your questions about Geelong RSL, please contact us online or call (03) 5249 2444 and we’ll be happy to answer your query.